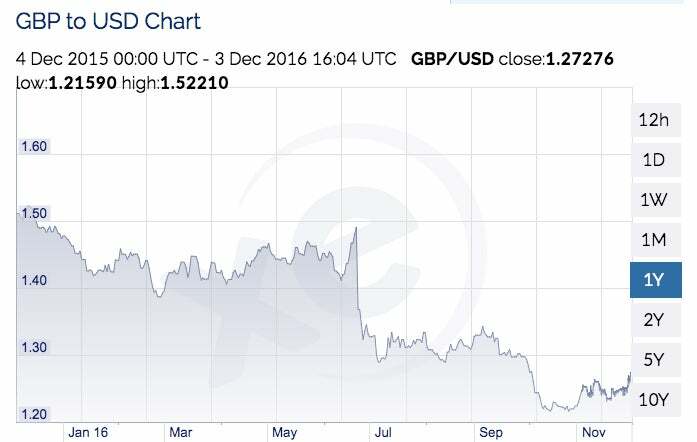 With the strong US dollar in the news a lot this year — ahem, Brexit — you might be wondering what it all means as you consider making travel plans this winter. Still, several countries are particularly advantageous for US tourists. Here are five international locales to consider for a better-value winter getaway. 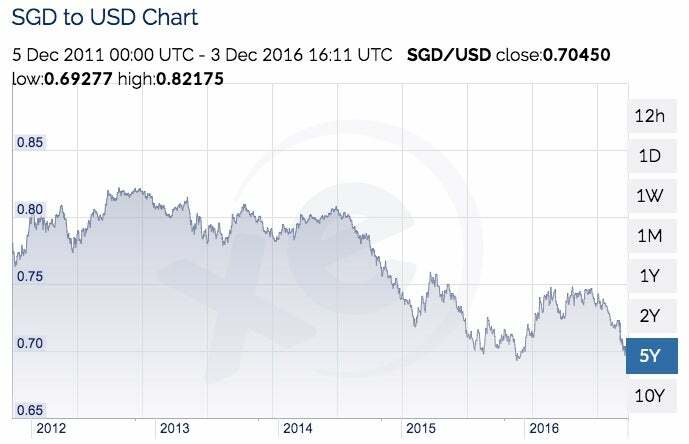 Note that these rate charts from XE.com were captured on December 4, 2016, and are subject to change. Ever since Brexit, the pound has been plummeting, dropping to its lowest level against the dollar since 1985 this fall — just $1.21 — down from a formerly typical $1.50 on June 23, the day of the historic vote. This means even London can be a relative bargain, with premium orchestra seats to “Les Miserables” or “Phantom of the Opera” selling for about $120 and “The Book of Mormon” for under $200, for example — yes, with current availability! For a real treat, visit Wales, where you can spend the night in an actual castle at the Ruthin Castle Hotel and Spa, for as little as $139 per night. 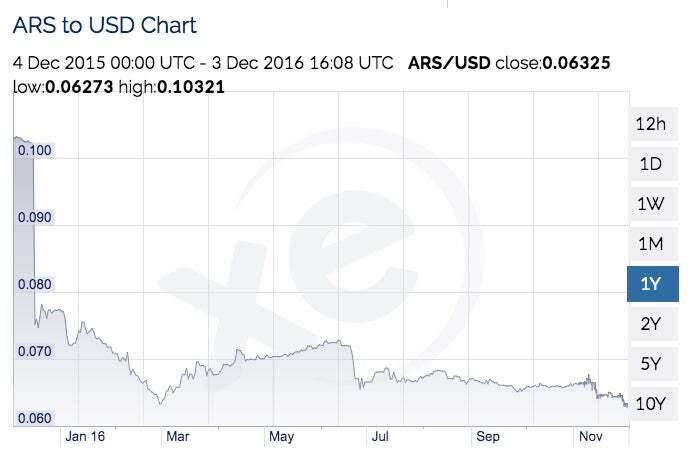 The Argentine peso has had a rough year, dropping in US dollar value from more than 10 cents to it’s current level around six cents. This 40% loss means that a stay at the trendy Miravida Soho Hotel in Buenos Aires or the Park Hyatt Mendoza can be had for well under $200 a night — $187 and $104, respectively, in December — and the eight-course tasting menu at i Latina, one of the best restaurants in BA, costs just $88 per person. Talk about a steal! It may have garnered a reputation as being one of the most expensive cities in the world, but with an exchange rate hovering around 70 cents on the dollar, Singapore is starting to look like a great budget-friendly destination for US travelers. Settle into one of IHG’s best boutique properties at Hotel Indigo Singapore Katong for about $150 or 40,000 IHG Rewards points per night, or splurge on a stay at the Marina Bay Sands so you can take a dip in its iconic infinity pool — that $449 SGD per night price tag will put only a $316 dent in your US bank account this December. 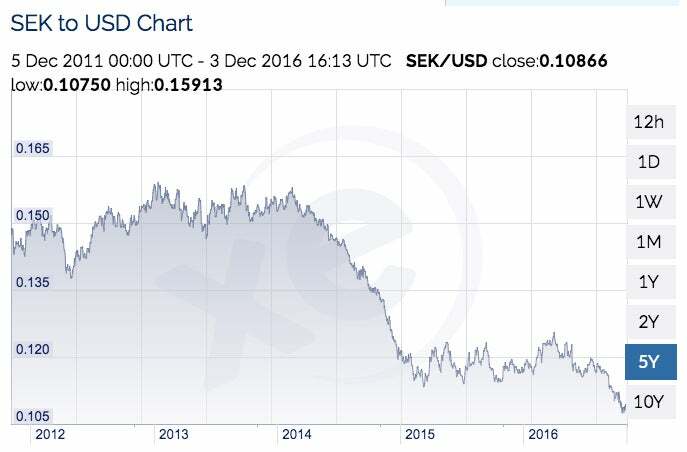 Also high on the list for cost of living, Sweden has seen its krona steadily lose value against the US dollar over the past five years, making now a great time for a Scandinavian adventure. Stay in the center of Stockholm for as little as $79 per night at the quirky and modern Motel L, then spend $71 per person on a night excursion and four-course meal package at the Aurora Sky Station to view the northern lights. 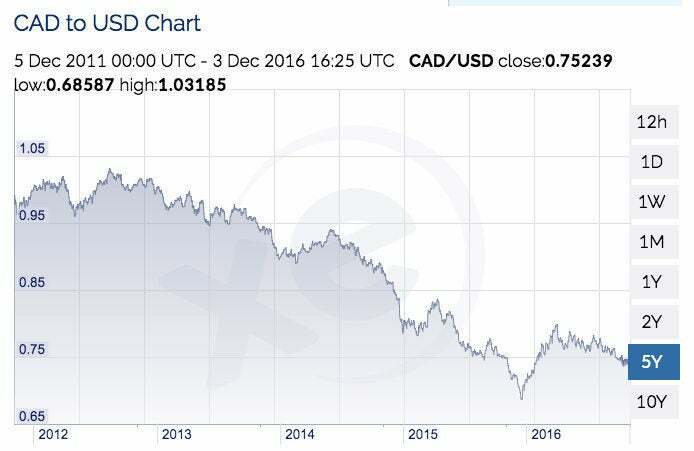 The dollar of neighbor to the north has had some ups and downs against the greenback lately — at one point a few years ago, it even reached parity! — but things have settled down to a value around 75 cents, making basically everything 25% on sale for American travelers. That, coupled with off-season hotel rates, makes winter a great time for a bargain trip to the Great White North. Catch a pro hockey game in Ottawa, Vancouver, Montreal, Toronto, Edmonton, Calgary or Winnipeg at 75% off face value — tickets in Ottawa start at just $25.50 CAD — about $19 USD — so, no excuses. Which of these places do you want to go to next? Featured image of Casa Rosada in Buenos Aires, Argentina, courtesy of Education Images via Getty Images.